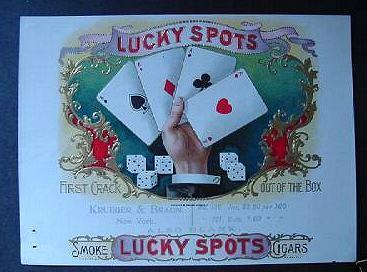 I collect cigar box labels with gambling themes, primarily the approximately 6" x 9" artwork glued to the inner side of the lid -- these are the most popular and valuable cigar labels. 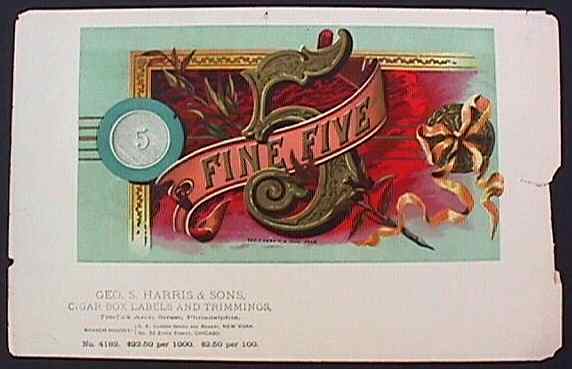 In decent condition they usually sell for $200 and more, though there are exceptions and beware of reproductions.... .... ..... Cigar labels are beautiful examples of stone lithography. They were a primary vehicle of advertising back in the days when there was no TV, radio, etc., and reading skills were limited..... ...... .... Some of the labels shown below are salesman's samples. 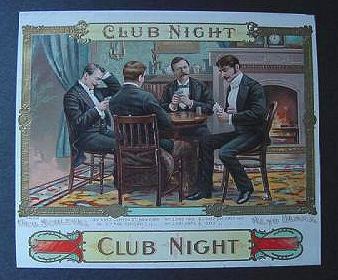 Many of them (and such is stated on the "Our Club" one) had sample generic names on them; that is, you could substitue the name of your bar, club, store, hotel, etc. for the title on the sample. I don't own this one. Nov. 1, 2003, it went for $126 on eBay. 6" x 7," embossed. Geo. Harris and Sons. Not mine. Interesting label. 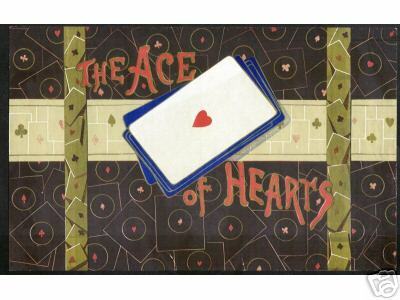 It highlights a generic denomination "5"poker chip. Probably for sale of 5-cent cigars.